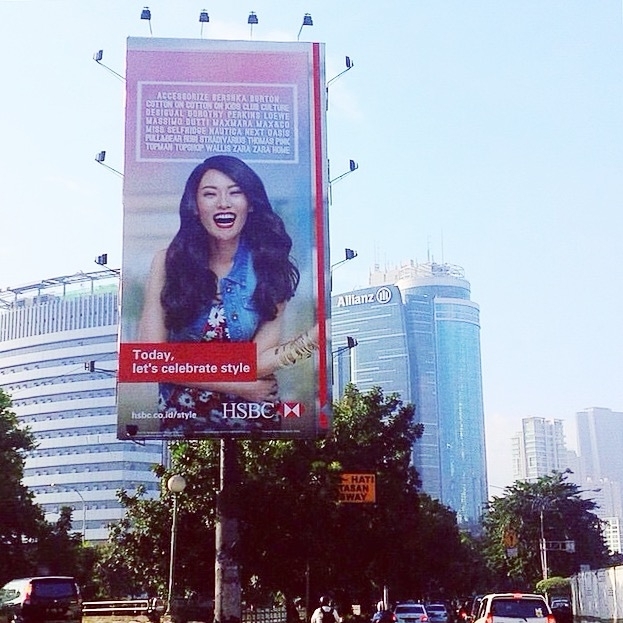 Yes, she is now the face of HSBC Shopping Campaign for the whole year! If you take a look for the whole series, we also have Patricia Devina as the supporting talent in this print ad. And oh, not forget to mention that this HSBC Campaign is a production of STUDIO47 under the creative directions of JWT Jakarta, Indonesia. Photographed by Glenn Prasetya with Producer James Yohan, Makeup by Andy Chun, Hairdo by Jeffry Welly, and Digital Retouching by Surya P Nugroho. Let's celebrate style!